The Multistar S3 is the entry-level member of Komptech’s professional star screen line. 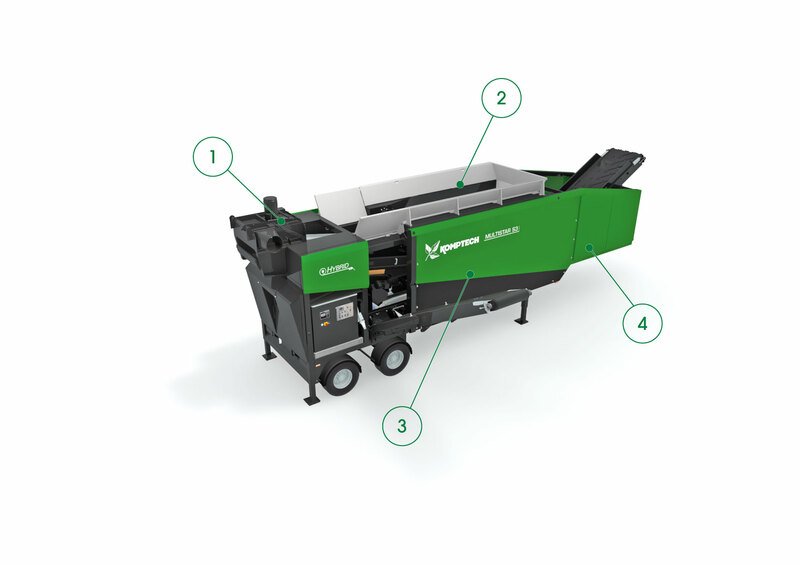 Designed specifically for the needs of lower to moderate volume mulch and compost producers, the S3 combines low cost with a level of performance previously only available in the high-capacity L and XL classes. The Multistar S3 features a 4.6 yd3 hopper with low loading height for easy material feed, while delivering up to 175 yd3/hr of throughput. Options available on the larger star screens are also available on the S3, including wind sifters, screen deck variations, hopper extensions, and more. 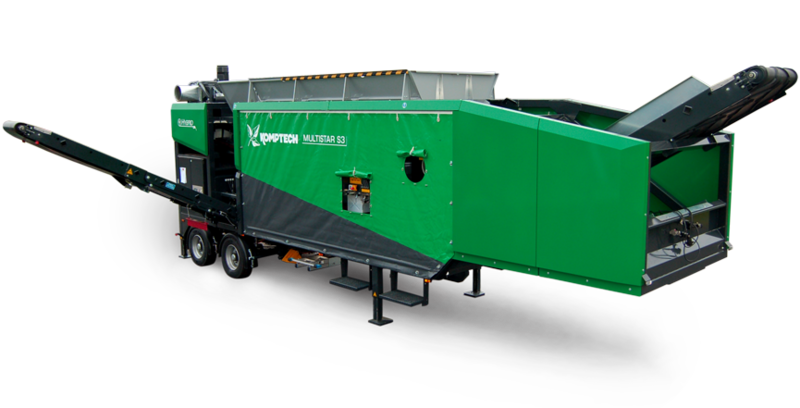 Options that are available on the larger Komptech star screen machines are also available on the Multistar S3, including wind sifters, screen deck variations, hopper extensions and more. The S3 hopper with up to 4.5 yd³ volume and low loading height enables continuous loading. The scraper conveyor and active metering drum ensure material constantly feeds onto the screen deck. Sheet metal panels with large access doors protect the drive components. The tough, truck-grade tarp panel cover protects components from dirt while saving weight. Rolling up the tarp sidewalls provides quick access to all other components. The Multistar S3's small dimensions (36'9" length x 8'11" width) make mobility and transport easy, allowing processors and service providers to maximize the machine through multi-site use. HAVE A QUESTION ABOUT THE MULTISTAR S3?